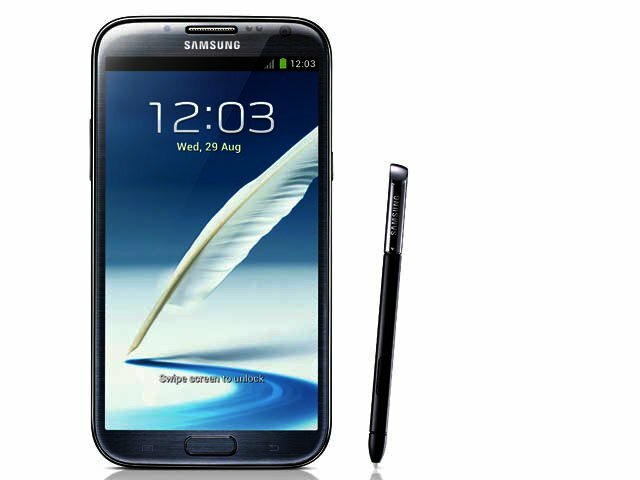 The Galaxy S3 (review) may be amongst the most popular smartphones launched this year, but there is a new contender for the smartphone crown, and it comes from Samsung itself in the form of the Galaxy Note II. The smartphone, which is the successor to the first Galaxy Note (review), is admittedly quite large, thanks to its sizable 5.5" display. However, in one’s hand, it feels very comfortable to hold, and more like an S3 on steroids, rather than just a bigger Galaxy Note. This is due to the fact that Samsung has made it slightly narrower, and a little taller, than its predecessor, which also makes it more ergonomic in practical use, especially when used one handed. The one area where we have felt some of Samsung’s offerings of late had room for improvement was in their build quality, including the bigger Galaxy Note 10.1 (review). The Galaxy Note II addresses this, as the 180 g device feel solidly built, thanks to a steel trim around its edges, and even the wafer-thin back cover feels more durable and less prone to snapping. The device is also a very comfortable 9.4 mm thick, which makes it ever so slightly thinner than the Note's 9.7 mm. Admittedly, while one would suspect that a device of this size would not rest comfortably in all but the most oversized of pockets, we did not find this to be the case. Is it noticeable? Sure. Impossible to carry and store conveniently? No. The key to the Galaxy Note II's ergonomic ease is the few extra millimetres that have been shaved off its width. This makes a huge difference to holding the otherwise generously sized device in one's hand. The $64 million question on devices these days is how well does it perform. There is merit behind this question, particularly for Android devices, which, not too long ago, were accused of lagging behind slightly in their speed and responsiveness stakes. That is definitely not the case anymore. 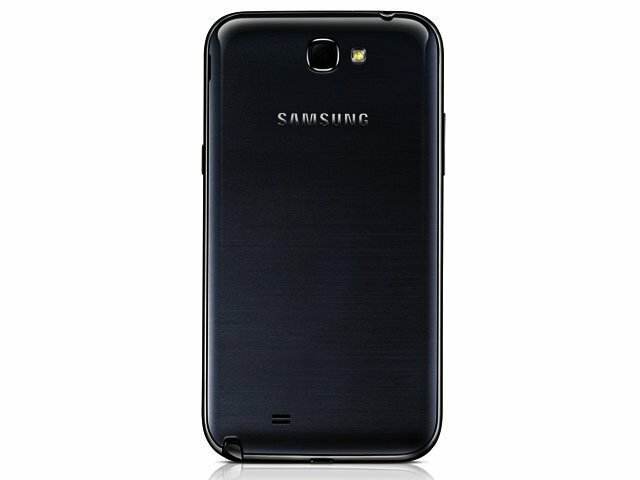 The 1.6 GHz Exynos 4412 quad-core processor, a full 2 GB of memory and Android 4.1 (Jelly Bean) combined to make general use, such as browsing the internet, opening emails and scrolling through the OS, a joy. While our review unit was the 32 GB version, only 24.5 GB was usable space. However, this wasn’t much of a concern, since the device does accommodate microSD cards to increase the internal memory by up to an additional 64 GB. The Note II’s benchmarks bear out the strength of the device’s innards. Against some of the top performance contenders, the Galaxy Note II Usain Bolted past the competition and easily beat them with a smile and a laugh, as we received a superb score of 13 683 in AnTuTu. This is more than double the original Note’s score of 6 240 (not surprising since that device had a dual-core processor) and a sizable lead over the quad-core-powered HTC One X’s score of 10 652, as well as Samsung’s Galaxy S3, which offered a respectable 11 887. In Smartbench 2012, it delivered scores of 4 938 in the productivity index and 1 641 in the gaming index, as compared with the Galaxy S3’s scores of 4 064 and 1 606 respectively. Once again, the fast HTC One X was left looking at the Galaxy Note II’s heels, as its 4 792 in the productivity was bested; however, the One X wrestled back the lead in the Gaming index, with a mighty score of 2 713. While we have already written at length about the beauty of Jelly Bean and the responsiveness gains offered by Project Butter, it is worth acknowledging that it performs beautifully here as well. Page transitions throughout the OS are exceedingly smooth and fast, (a boon if, like us, you tend to download reams of apps and widgets), and apps open and run without delay. From front to back, the Galaxy Note II oozes quality. However, the increased screen size isn’t the only improvement boasted by the Galaxy Note II; far from it. The phablet is brimming with extra features, such that there is plenty to explore and uncover about the device’s capabilities. The first, most obvious standout feature of the device is its 5.5" HD Super AMOLED screen. Boasting a resolution of 1280 x 720 resolution (267 ppi), the screen is simply stunning. Beyond catering to viewing movies in a 16:9 screen ratio, the Galaxy Note II’s screen actually feels inviting to do so, to the extent that we even found ourselves neglecting our tablet in its favour. Watching movies on the device was no less of a pleasure, thanks to the aforementioned screen and loud, although not perfect, audio quality. Additionally, it’s worth mentioning that inexplicably the larger 5.5" Galaxy Note II requires a microSIM (like most new smartphones), while its smaller predecessor was happy to accept a normal sized version. In comparison between the original Note (on the left) and the new Note II (on the right), the size differences aren't that great. An 8 megapixel camera with full HD video capture is onboard and, as would be expected from a device of this calibre (and pricetag), we found the quality of the stills and video to be very good, while a plethora of useful (and mostly self explanatory) shooting modes are on offer. These include single shot, panorama, face detection, best photo and best faces, both of which detect from amongst multiple images and choose the best one captured, and share shot. Importantly, autofocusing is fast and accurate, even in slightly dimmer indoor areas. Like on the Galaxy S3 and Note, there is no dedicated shooting button, and thus all camera controls are relegated to the touchscreen. Whether you love or hate this particular trend is going to depend on your photography habits; personally, we still prefer tactile buttons. Battery life was also very good, particularly for a device of this size, lasting a full day of moderate use before requiring a charge. Add to this a number of useful features, like Popup Note, Air View and Easy Clip, the ability to do multi-tasking by opening two apps side by side, and it is easy to see why the Note II may be the S3’s biggest challenger. However, the standout feature for us, as befitting the device’s original purpose, lay in drawing and taking notes on the device. The responsiveness to our handwriting and strokes, along with 1024 levels of pressure sensitivity, were a boon, and made the phablet feel like a genuinely useful creative companion. Befitting the Note II’s change in shape, the S Pen stylus has also been sent to the gym, and thus is longer and slightly thicker than that found on the first Note, and thus feels more weighty in one’s hand. However, we weren’t such a fan of the new oblong like shape, as we found it to be less comfortable than the rounded feel of its predecessor. Popup Note in particular proved its usefulness several times, where in the midst of a phonecall we needed to scratch down a number quickly; pulling out the stylus facilitated this as advertised. The other new feature similarly worth a mention is Popup Command. With this, users press and hold the button on the S Pen to activate the feature, and then draw a symbol and write a word for the appropriate command. For example, searching the web with Popup Command was done by stroking up on the screen with the pen, and then drawing a question mark and writing the search term we wanted to look up. In little time, Google delivered our search results, and we were particularly impressed by the fact that the Note 2 seemingly had no problem recognising our particular style of handwriting – which some not too inaccurately have called Drunken Spider. It’s a nifty way to do searches without having to resort to the touch keyboard, and just one example of the innovations the company has crammed into this stellar device. 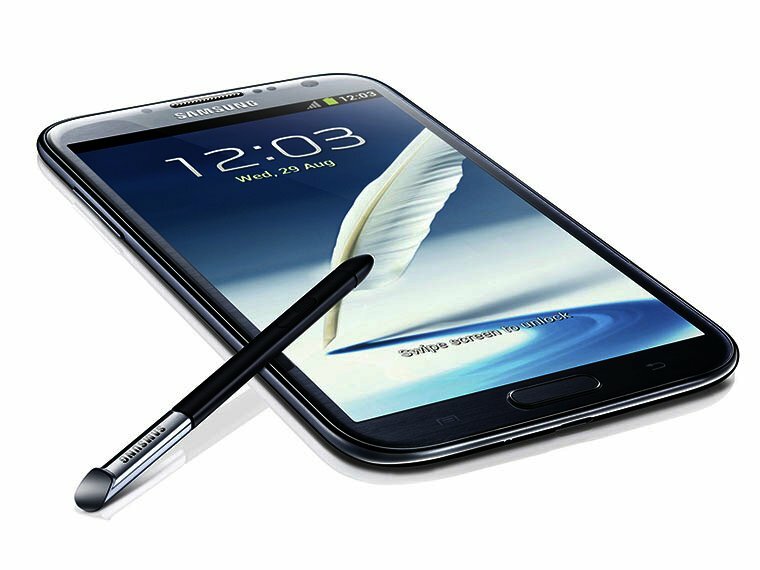 When all is said and done, the Galaxy Note 2's main differentiator is its S-Pen (stylus) and the extra features that it brings. While the Galaxy Note II benefits from the sweet speed gains and features, such as resizable widgets, bought by Android Jelly Bean, Samsung has further added its own distinctiveness via its layer of TouchWiz love. Even though this is largely a matter of personal preference (we know some users prefer HTC’s Sense UI), on the Galaxy Note II, TouchWiz works like a dream. The fact that Samsung doesn’t need to rely on the stock standard version of Android also means that the company has successfully managed to standardise its user interface to an extent. For users of other Samsung devices (like tablets or other smartphones) this has the added benefit of making a new device feel instantly familiar. The other ace up Samsung’s sleeve is the strength of its exclusive and integrated apps such as the aforementioned Popup Play, Easy Clip, Idea Visualiser and Air View. These cannot be downloaded on any other device or via the Play Store, and are generally very good apps in their own right. Much like Apple found success by bundling iLife into its computers, Samsung’s integrated apps for its Android devices give their smartphones and tablets yet another edge. What’s more, the likelihood is quite high that further apps and features will be rolled out in due course via Premium Suites, as happened on the Galaxy Note. While the Galaxy Note II might be quite noticeable when raised to one’s ear for a call, the resulting stares would be well worth it, for the performance and features on offer. For those seeking a device that offers a plethora of useful functionality, while retaining a distinctiveness that has become all too rare in the smartphone field, the Galaxy Note II leaves its competition in the dust. Indeed, to our minds the Note II has surpassed the excellent Galaxy S3, which in itself is no small feat, while delivering the kind of device that not too long ago, we would have expected from a certain company in Cupertino. 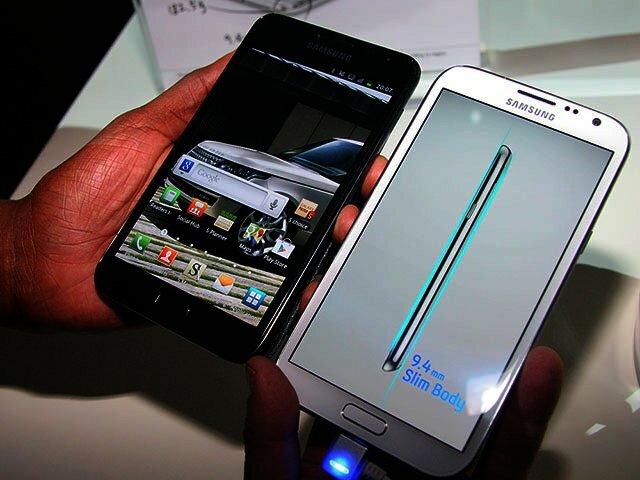 With the Galaxy Note II though, Samsung has ‘out-Appled’ Apple, and perhaps even more importantly, outdone itself. This as far as we are concerned, is the best smartphone/phablet we’ve seen this year. RRP: Approximately R8 000 for 3G version (tested here); an LTE version is expected in the near future.